Dubai-based eyewear ecommerce startup Eyewa has raised $1.1 million of investment in a seed round led by Equitrust, investment arm of one Choueiri Group, one of the largest media groups of region. 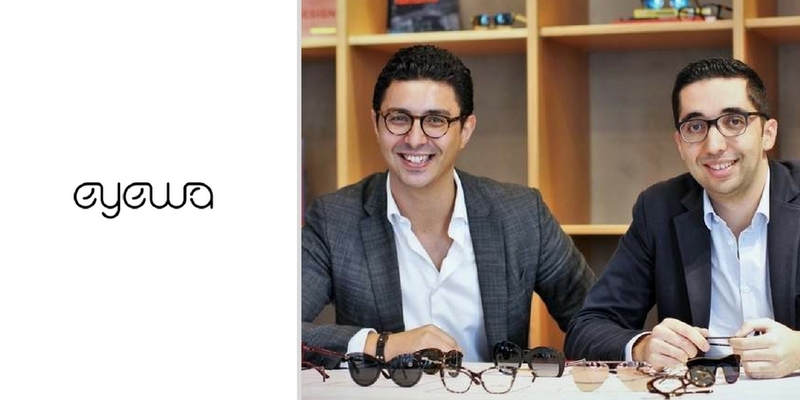 Co-founded by Anass Boumediene and Mehdi Oudghiri last year, Eyewa currently sells different types of eyewear in UAE & Saudi Arabia through its web platform. The platform has eyeglasses and sunglasses from all the leading eyewear brands including Ray-Ban, Emporio Armani, Burberry, Persol, Fendi, Dolce & Gabbana, Prada, Nike and Lacoste. Eyewa also sells contact lenses. “There is a tremendous opportunity in eyewear e-commerce. It is a proven business model with many success stories in different regions, yet until now, we didn’t have a proper solution in the GCC. Consumers are hungry for better value propositions beyond the traditional brick-and-mortar experience. We plan to make eyewa the reference in people’s mind when it comes to buying contact lenses, sunglasses and eyeglasses online.” said Mehdi Oudghiri, co-founder of Eyewa. “E-commerce is still relatively under-penetrated in the region when compared to other global markets. Educating customers around the convenience of e-commerce requires heavy marketing investments. As Amazon/Souq, Noon, Namshi or Wadi grow, they actually take care of the heavy lifting of the education of customers on e-commerce. The way we see it is that customers will make their first purchase on the generalist e-commerce, and once they are comfortable with purchasing online they will buy from niche e-commerce players that have a much better offering and an expert service that is more catered to the specific product they are selling,” he told MENAbytes when asked about (indirect) competition with the existing big players. “The same way customers don’t buy eyewear from Carrefour but rather from specialized optical stores, we expect the same behavior to happen online. It is a transition that already happened in many countries, with MisterSpex in Germany or LensKart in India for example.” Mehdi concluded. According to their website, Eyewa delivers to all major areas in UAE & Saudi Arabia and accept online payments through credit cards or cash on delivery. The startup aims to use the investment to expand to expand to rest of GCC. Update: The story was updated with a comment from Eyewa’s co-founder Mehdi Oudghiri about competition.